Scanner armor from Halo Online. It's one of those rare armor types designed in the 343i era that actually manages to look like a serious, heavy-duty Spartan armor. The overall design is quite good, though it looks best when the lower half is a different armor type. I would have to say my favorite is CQC from Reach. This often overlooked armor permutation maintained a classic Mjolnir feel while adding a sleeker aesthetic. I'm also a big fan of the MK IV Mjolnir armor, but feel it would greatly benefit from a Gen 2 upgrade. Armour: Halo Reach in general. I felt the design of Halo Reach's main armour to be the most "functional" of all the Halo games. 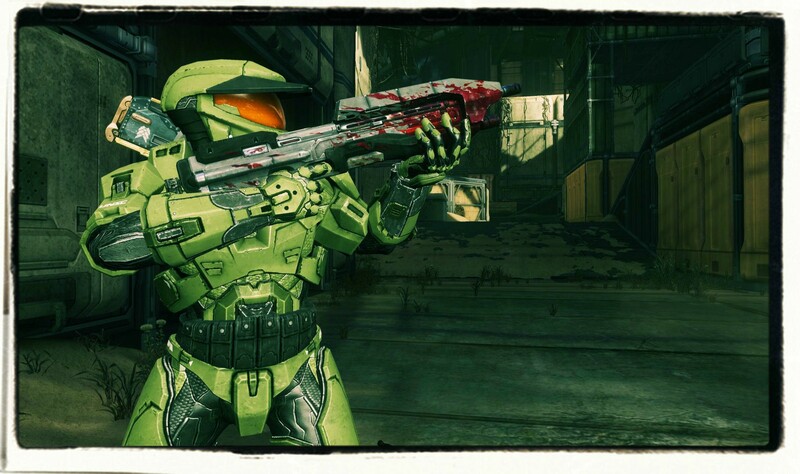 Aside from being aesthetically pleasing, the attachments made it feel like armour that would not only protect the spartan, but have tactical advantages in the battlefield. While not as sleek or recognizable as Gen 2 MK V or VI Mjolnir, it seemed more suited for field engagements. Jun's camo and sniper bullets, Kat's comm links and camera (being the intelligence agent), and the various ammo pouches like Recon or the softcase. I found the armour featured in Halo 4 to be too show-boaty by comparison. Designed as opposed to manufactured, if that makes any sense. Lots of seemingly pointless plastic pieces jutting out here and there that made the designs less simple/sleek, and also less functional. There are exceptions of course, and I genuinely liked several pieces of Halo 4 armour, however I was unimpressed overall. Halo 5 looks like it's fixing many of the problems I had with its predecessor. ODST - Halo 3: ODST's ODST helmet remains my favourite out of every other armour piece. Something about the design resonates with me, and the visor colour compliments it perfectly. Unfortunately I haven't liked it in any game since, where either the design wasn't quite the same (Halo 3-4) or the lack of proper visor colour threw it off (Halo: Reach). Halo 5's variation of the helmet looks like a return to form, one that I'm very happy for. Commando (UA/FC Attachment) - I love the Mjolnir MK V and MK VI helmets, however Commando from Halo reach takes the cake for me. While I wasn't necessarily a fan of Carter, I was set on the Helmet design once I saw a particular piece of concept art. It is, to me, the quintessential Halo Helmet, looking like a mixture of the ODST and Mjolnir MKV designs. I love the idea of a close quarters specialized armor set and I'd love to see the CQB set one day make it into infinity's armor bay as a GEN 2 armor variant and more importantly an option for my Spartan IV. Definitely the gen 2 helljumper odst variant. It just looks so badass and the fact that it seems to be both practical and cool. My other favorite armor is orbital armor as it is just an amazing idea that we have a new type of eva armor that fulfills a specific role and you can tell that it actually would be useful in its role. It is clearly designed for eva activities, but it actually looks like it is designed for combat where the eva armor has always looked weak to me and more about movement or using the booster frames. [AFFIDAVIT] Participant answers that != Set(['Prefect ','Helioskrill']) are [contradictio in adjecto]. I love the hyabusa armor from H3! My favorite Spartan armor would definitely be the Helioskrill set from Halo 5. I love the idea of a Sangheili being able to reverse engineer such classified tech to give their own spin on a normally human-made armor. It really shows a diverse side to the Sangheili to be able to do this. And I'm guessing our favorite Sangheili armor will be in another questionnaire, right? Favorite armor is CQC from Halo Reach and this opinion has yet to change, despite the massive selection of armors in the game. Solid foundation of everything I feel a Spartan helmet should have. It looks like they put Chief's Mark VI and an NFL helmet into a blender, and I think it looks really sleek in just about every color. Also I love the visor shape. My favorite Spartan armor is absolutely Helioskrill, for lore reasons because it's not often we hear too much about Sangheili intellectual capabilities, and hearing how they were able to reverse engineer and create variations on Spartan armor is incredible. For personal reasons, it's because I love a challenge, and having achievements unlock specific armors has always made me excited to go for the achievements. Here's to hoping there's a LASO armor set, toiled for dozens of hours to get em all done and I'd be proud to represent my achievement. Mark VI from any of the Halo's. I'm usually an ODST/AA guy, but those Recon and Enforcer are the only armors I've felt compelled to wear. Contradictio in adjecto is Latin for "a contradiction between parts of an argument"
Contradictioinadjecto is Latin for "a contradiction between parts of an argument"
I'm guessing it has something to do with the Prefect set being Forerunner-based and Helioskrill being Sangheili-based while all the other ones are human-based? My all-time favorite Halo armor set is the classic Mark V. It's had many variations over the years, but the best in my opinion is Halo 4's Mark V. It's true to the original but detailed as hell. 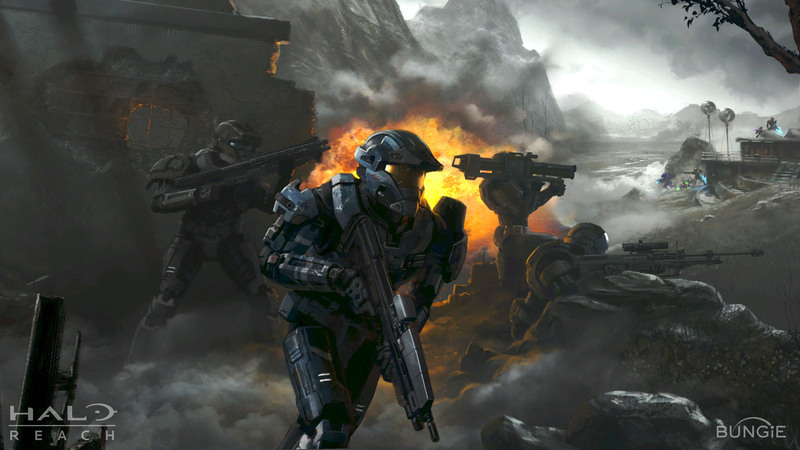 The first time many of us saw a Spartan was in the Mark V, and Halo 4's was the only one that really had that authentic Combat Evolved feel since the original. I mean, just look at that. My absolute favorite armor has to be the Recon Gen-2 armor. I don't know why but its always looked sleek and clean and in the halo 5 beta it looked amazing. I didn't like the recon armor so much in H3 but I really like its design in halo reach and in halo 4. I don't like using rapid fire weapons either so my play style is mid to long range, consequently this means I use a DMR and BR more comfortably than any other weapons. The Recon armor sort of fits my play style. CATALOG IS BACK!!! All aboard the hype train! Halo 3 Hayabusa, it just looked generally outstanding and it took a fair amount of time and effort to acquire, beyond what is normally required. Haha! This is your way saying these are your favorites? Nice to see your back! In my opinion Halo Wars' Mk IV makes spartans look like greek gods like it is said in The Fall of Reach. The sleek design really makes it look both strong and agile.